Out of the wide array of NES games, it seems safe to say ‘Punch Out! !’ was one of the most popular and well recognised. And it was in its ‘prime time’, so to speak. Coming as a port of an arcade game, and receiving a sequel for the SNES, the franchise was kept alive for a good while. However, fans wouldn’t see Little Mac in the boxing ring until its revival on the Wii, and it came stronger than before. Sure, you are still fighting through the ranks to become the WVBA champion with the help from Doc Louis, yet this is still no ordinary boxing game. 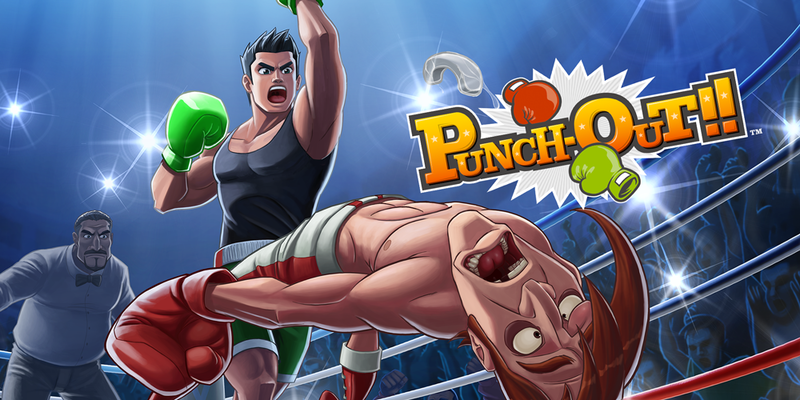 You take on the role of champion in the making Little Mac as he battles through various opponents. And no, despite being on the same console, this isn’t ANYTHING like Wii Sports Boxing. Each opponent acts differently from the next, and you have to use your various moves to overcome them. You need to know when to dodge, and in which direction. You need to know when to punch, and where to punch. Your foe will have various tells and hints that tell you what attack they will be executing, and you need to react quickly in order not to get hit. After dodging, hit them, and once their stamina bar depletes, they will be knocked out, and you may suffer the same fate as well. You may be able to land a punch at a very, VERY specific time to get an extra star, which you can use to land an extra heavy blow. Get hit, then it’s lost. The whole system is quite a big-risk, big-reward type of thing, and it forces you to pay attention, to have fast reflexes, and know the enemy well. Let’s take King Hippo for one example. Instead of hitting him in the face, you will have to aim for his belly, since he will block his face as soon as you land a punch. You can dodge, but there may be a longer wait with the next punch, so as soon as you return to your normal stance, you’ll get hit. It’s a whole lot more than just punch-punch-punching. Each and every challenger is unique in their fighting style, which makes the gameplay very fresh. The main mode, career, sees you pitted against those higher ranked than you. They come in circuits, minor, major, then world, each with four fighters (with the world circuit having 5). After you take down the current champion, a new plus mode is unlocked, where you’ll face everybody again. This time, however, they are greatly improved and are even more challenging than the last time you faced off. Some even rely on special gimmicks. For example, when facing against Bald Bull for the second time, you will have to land a star punch to knock him down. If not, he’ll keep on standing. Playing through this mode is extremely worth it, but after that there sadly isn’t that much to do. There is an exhibition mode, where you can square off against previous foes, and are able to complete special challenges (or practice against the one who’s giving you trouble in career mode). In addition, there’s a VS mode for two player local play, which I haven’t tried out yet. Whilst there’s a decent amount of stuff within ‘Punch Out! !’, it is the great campaign that clearly steals the spotlight. ‘Punch Out! !”s looks are pretty good. All of the characters are well designed and stand out, and the lighting effects from the star punches and the intros to the matches are quite polished. It isn’t groundbreaking or gorgeous, but isn’t down-right atrocious. So remember that really cool fighting theme from the original? And that running music and countdown tune? Well, all are here and are greatly remixed! The theme for each circuit changes as well, and gets you feeling right in the match. And when in exhibition, the theme changes to a remixed version to encompass that person’s nationality (Disco Kid’s is a club remix, for example). The voice actors for each character are also brilliant, bringing the cast to life. Super Macho Man’s ego, Von Kaiser’s quirks, they all seem like proper fleshed out characters with their own unique personalities. Whilst it had remained absent for a tad too long, ‘Punch Out! !’ on the Wii is really something else. The actual act of hitting someone feels satisfying (not to be taken out of context), and the cast of fighters feel very unique and are fun to go up against. But sadly, there’s only a good handful. So whilst not great for the price of a new game back then, it was certainly worth it for buying it for just £10, so I will be giving this game an 8/10. Let’s hope Nintendo will soon make a new one with even more fighters, but for now, this is another piece to add to Little Mac’s Hall of Fame. I played this with a boxed version of the game on my Wii U. If you can’t find a physical copy, it is available on the Wii U eShop (although it may be a bit more pricey). This picture has come Nintendo UK’s official site for the game.